We are at a critical moment in history, where the 24/7 news cycle no longer just covers the story. It influences the story. Sometimes it IS the story. Do you love history and find the media maddening? #MeToo! 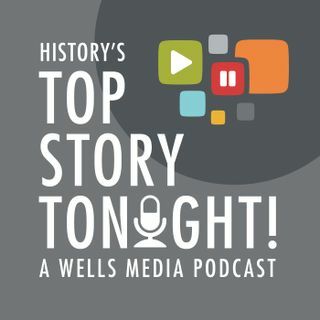 “Top Story Tonight!” revisits great moments in history as if the modern media existed at the time - cable news, Twitter, Instagram, talk radio, reality TV, even the dark web of conspiracy theories. Imagine retelling the story of Cleopatra as the original Kim Kardashian on ... Maggiori informazioni Instagram. Think Henry VIII as the king who wants to Make England Great Again. #MEGA! You get the idea. This podcast brings history to life—warts and all—with a modern twist. The Mayflower! The Finale: Giving thanks...? ?